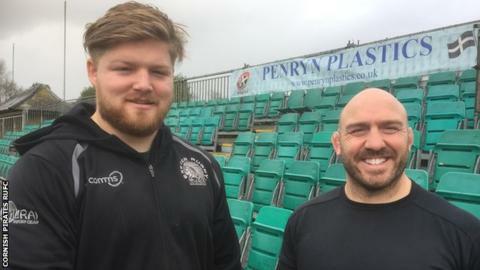 Championship club Cornish Pirates have signed Exeter Chiefs prop Jack Owlett in a dual-registration agreement. The 22-year-old joined the Chiefs after impressing for the University of Exeter side and has made three first-team appearances so far. They all came in the Anglo-Welsh Cup last season, his first a 62-25 win over Cardiff Blues. Owlett has been named on the bench for Sunday's British and Irish Cup game against Scarlets. They remain top of their group despite last weekend's 18-10 defeat by the same opponents.